Hello everyone! 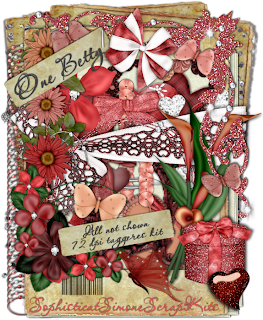 Well I've finally written a new tutorial, OMG and I've used my new FTU scrap kit called "One Bettie". I've always loved Olivia's art work featuring Bettie Page and I always thought Bettie Page was a beautiful woman and was sad when she passed away. 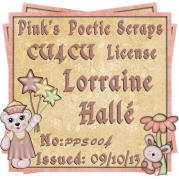 Here's a preview of the scrap kit in her honor, and you can download it here. And if you want to try out the new tutorial you will find it at "The Padded Cell" Forum where I tag and play and offer contests with my great friends Lou, butter and Serina. 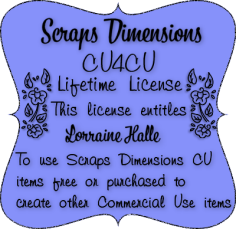 The gals are also posting their tutorials using this scrap kit, so you'll have 4 tutorials to try out. Hope you enjoy and have a great day. Hugs from me, Simone. All Bettie Page Images and Tubes purchased at CILM, where Olivia sells her Bettie Page art as PSP tubes. Helloooooooooooooooo, hope you're all well. Hope you enjoyed that little freebie I loaded up for you all. Made a new layout using my newest scrap kit, called "One Bettie". I wanted to make something to aknowledge Bettie Page, who passed away a few weeks ago. Stay tuned, as I will be loaded the kit soon.